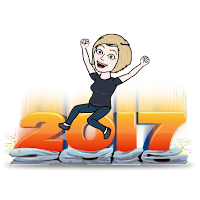 Math Mayhem: Happy New Year! As we begin a new year and everyone thinks of resolutions, the prevailing idea in education is to set goals instead. What are your goals this year? 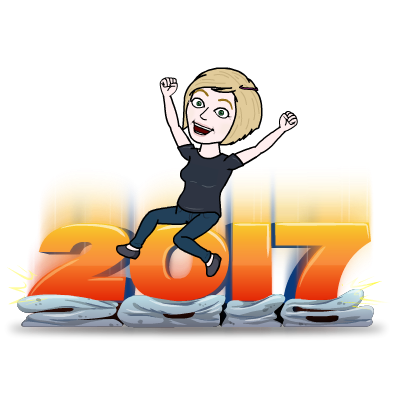 I have decided to try to blog more often as my goal so here I am, on January 2nd, beginning that process. I believe I read that "writing improves reading and reading improves writing". I read a lot - prodigious is a word that comes to mind - so I have the reading part covered, but I don't write much even though I do like to do it. I have accepted A.J. 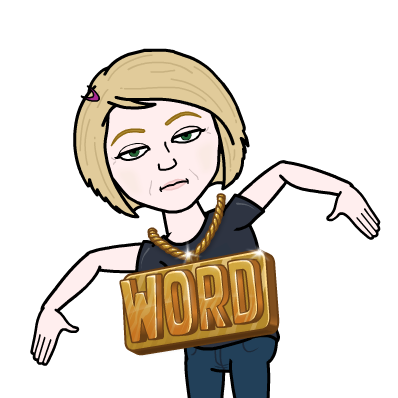 Juliani's 30-day Blogging challenge in which I intend to write everyday and publish at least twice a week. Will you join me? There is also a trend to choose your one word for the year using #oneword2017. 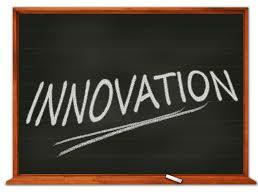 Overall, I chose innovation as my word for the year. I think it encompasses everything. It means to create change by creating something, improving something, designing something in new ways. For me, innovation is about practical things like how to use technology in new ways, but also about how to change my teaching practices to better meet the students where they are at right now. I will try new things. Some of them may work and some will not, but failure is part of growth. I heard a quote recently "Failure is an option, but failure to deliver is not." I really like it as I feel it has a great deal of meaning for students today (or it should). I wish I knew who said it originally.